Proseal has launched its first tray sealer since winning a Queen’s Award for International Trade 2018. 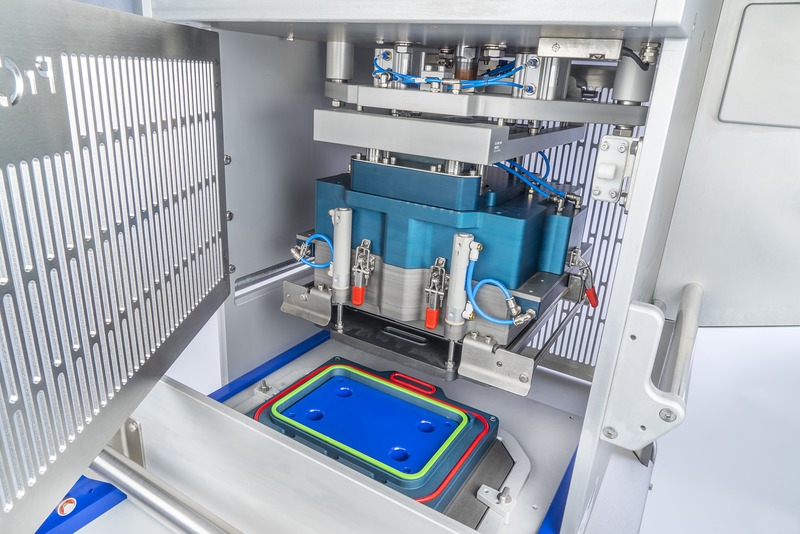 The Proseal TTe is a small, compact and robust tray sealer ideal for low-volume production and production trials. The TTe has been developed specifically to assist the progression of safe food packaging and shelf life extension to underdeveloped countries where packaging is overused and underutilised. A semi-automatic, draw type, tray sealing machine with full vacuum facility, the Proseal TTe is capable of sealing up to ten vacuum/gas packs per minute with a two-impression tool. The machine is the latest addition to Proseal’s innovative ‘e’ technology range, which is characterised by its flexibility to perform any style of heat seal to a pre-formed tray – whether atmospheric, MAP, VMAP, Skin, Skin Plus or Skin Deep. Each of these options can be added at the point of purchase or a later date, or indeed removed if necessary. This enables customers to future-proof their investment by giving them the flexibility to change pack formats in line with customer demands and market trends, without having to purchase new equipment. Simple in design and operation, fully portable and castor-mounted, the TTe is highly convenient to use. It features a five-minute tool changeover, a simple and accurate film-feed system with an easy film route, and a maintenance-friendly robust construction. Its ‘Auto-Tool’ feature means that, at the touch of a button, it automatically locates and connects the tooling to machine functions, including all MAP functions. Another key benefit of the Proseal TTe is its high degree of accuracy. The machine provides accurate temperature and seal pressure control, as well as an automatic seal operation with a precise seal dwell time. The TTe tray sealer also offers exact temperature and seal pressure control, and a high-accuracy tool alignment system that provides an extremely consistent sealing or film-cutting relationship with the tray flange profile. As with all Proseal tray sealers, the TTe features a food industry-approved hygienic construction and wash-down protection, as well as full Category 3 guarding. “With every new machine we release, we aim to take performance and usability to another level,” comments Steve Malone, Proseal’s Director. “It’s exactly this focus on continuous growth and improvement that recently led to our Queen’s Award.